Amanda is Beautiful & Casual blogging theme that is perfect for woman or fashion bloggers. Packed with over 70 customize options, it is easy to give your blog a personal look. 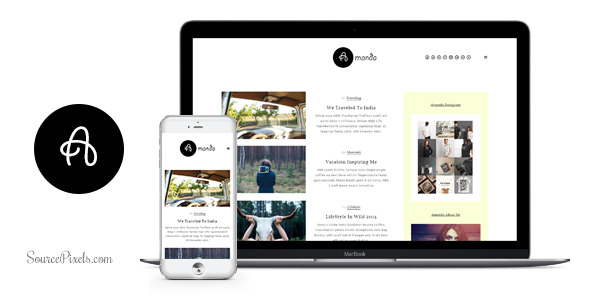 Amanda is ultra modern, responsive and clean theme. Whatever your magazine or blog needs, Amanda is here to deliver! It has 8 pre-defined Blog Styles that you gonna love! You can choose what ever color you want, unlimited. Hope you will enjoy to use Amanda.” – , CEO/Founder & Designer at SourcePixels. 8 Pre-defined Page Templates allows you to create pages so easy, with one click. Let our beautiful pre-defined templates take care of the rest.